All gaging equipment requires periodic calibration to ensure inaccurate readings do not cause problems with pricing, safety, customer satisfaction, quality, or other critical problems. How often do you need to schedule with us, can’t you calibrate your own gage? e2b calibration offers gage calibration in Cleveland Ohio and we can help you answer these questions and more. HOW OFTEN DOES MY GAGE NEED TO BE CALIBRATED? ISO 9001, which applies to all manufacturing operations, requires suppliers to calibrate “all inspection, measuring and test equipment and devices that can affect product quality at prescribed intervals…” a prescribed interval is roughly once every year, at a minimum. In some cases, especially when precision and accuracy are critical, more frequent calibration is necessary. CAN’T I CALIBRATE MY GAGES IN-HOUSE? It is possible to calibrate your gages without the help of an outside lab, but it can be more complicated and expensive than you might think. To bring calibration in-house you will need to invest in the necessary equipment and have staff trained to handle your calibration needs. Further, if you require NIST traceability you will be required to have test equipment that measure up to all NIST standards. 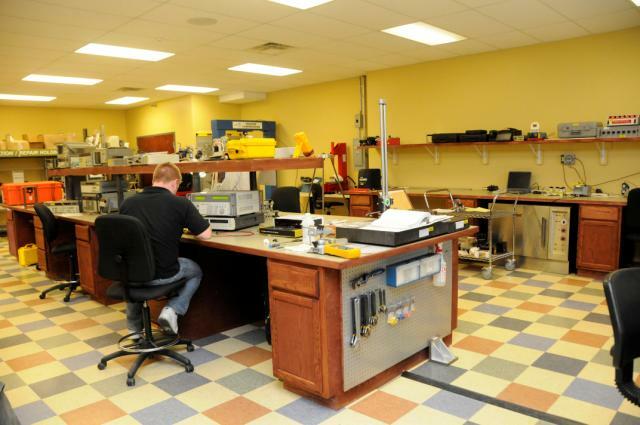 Some large companies choose to take on this expense, but a majority of companies fined it is much more economical to use a calibration lab instead. e2b calibration provides gage calibration in Cleveland Ohio that is ISO-17025: 2005 Registered with ACLASS and ANSI/NCSL Z540-1-1994 Certified with a NIST Traceable Wide scope of ISO/IEC 17025 accreditation. If you are either internally mandated or required by an outside party to have your instruments calibrated by accredited and certified labs, be sure to remember that being “compliant” with ISO/IEC 17025 is not the same as being accredited. HOW CAN I TRACK MY GAGE CALIBRATION? At e2b calibration, all of our customers are given the option to utilize our cloud-based asset management system, Anytime Assets at no additional charge. With this system you will have access to your equipment information 24/7 from anywhere you have internet access. Learn more about Anytime Assets here. e2b calibration is located in Northeast Ohio just outside of Cleveland. We offer pick-up and delivery services in most areas and our technicians are available for on-site services by request. Contact to learn more about gage calibration in Cleveland Ohio and to receive your free quote.